We prepared ecological versions of our most popular products for clients who do not value only effectiveness and efficiency, but also product’s influence on natural environment. We eliminated the most aggressive components from them and replaced them with as natural as possible ones to preserve product’s effectiveness on satisfying level. 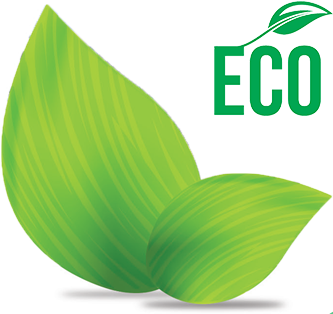 All products from this product line are biodegradable which is of great importance for people using household sewage treatment plants. Ecological, ready to use product designed for daily nurturing interior elements of the house. Refreshes the surface, provides gloss effect and does not leave any stains. Contains biodegradable components of natural origin. Very efficient. Product does not contain aggressive acids or alkalis. Ecological product designed for degreasing all surfaces and appliances resistant to water, such as tiles, walls, floors, gastronomic devices, ovens, shelves, cabinets, tables etc. Does not contain aggressive components. Product excellently removes greasy dirt of vegetable and animal origin. Product is biodegradable and may be disposed into household treatment plants. Use without diluting. 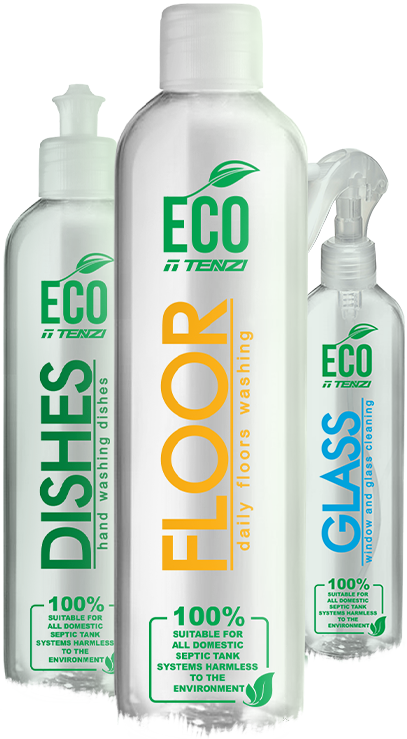 Ecological product designed for cleaning glass surfaces, window frames, mirrors, car windows and headlights. Contains biodegradable components of natural origin. Refreshes the surface, provides gloss effect and does not leave any stains. Very efficient. Ready to use. Ecological liquid for manual washing dishes. Cleans glass, ceramic, enamelled and steel dishes. Effectively removes grease, dirt and food remains. Delicate to skin. Biodegradable. Does not leave any stains or streaks. May be disposed into household sewage treatment plants. Use 4-5% solution (40-50 ml / 1 l of 30-40°C water). Friendly to environment acidic product based on components of natural origin (tea tree oil, citric acid) designed for daily washing sanitary appliances. Recommended for all materials and surfaces resistant to acids. Removes water stains, mineral sediments and soap remains. Harmless to chrome, nickel, ceramic, glass and enamelled surfaces. Product should be used in 1-2% solution (100-200 ml / 10 l of cold water). Ecological product designed for daily washing floors. Product is based on components of natural origin. Does not leave any stains and keeps natural properties of cleaned surfaces, such as stone, ceramic, PVC, varnished wood and laminated panels. Neutral. Biodegradable, may be disposed into household sewage treatment plants. Use 0.3-0.5% solution (30-50 ml / 10 l of cold or lukewarm water). Our products simplify daily cleaning and nurturing of every house interior. Natural components guarantee that our products are biodegradable and environmentally friendly. Our products are totally harmless and appropriate for household sewage treatment plants. hotel and household. From the very beginning our motto has been “Advantage through quality”. List of our suppliers include well-known international companies. Our factory and headquarters are located in Zachodniopomorskie state in Skarbimierzyce (near Szczecin). Fundamental to our success are unique formulas carefully developed by our technologists with the help of hi-tech laboratory solutions and utmost care about product’s quality. Ecology in our business activity is a very important factor. 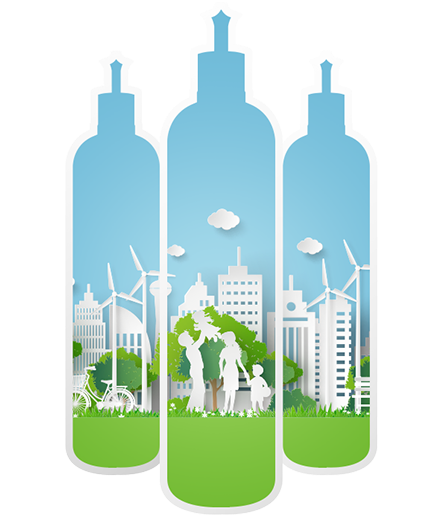 That is why we extended our offer by ecological versions of our most popular cleaning agents.